PHOENIX — Kevin Colbert sat in the corner of the Arizona Biltmore on a perfect March day and might as well have been on the clock. The departures of Antonio Brown and Le’Veon Bell, coupled with the Pittsburgh Steelers‘ first playoff miss since 2013, places Colbert squarely in the spotlight. The man armed with 10 draft picks doesn’t seem to mind at all. The Steelers appear open for business. It’s up to Pittsburgh replenish the roster. And though Colbert said the team got three free agents with starting experience in corner Steven Nelson, receiver Donte Moncrief and linebacker Mark Barron, this draft marks one of the most crucial of Colbert’s nearly decade-long tenure as general manager. The Steelers need a receiver weapon to offset the loss of Brown, a long-term solution at inside linebacker and a palatable stable of cornerbacks after some undeniable misses. The Steelers drafted five corners in the top-five rounds from 2015-17 and have no projected starters to show for it. Those honors belong to Nelson and Joe Haden, both added in free agency. Developing a corner into a starter should be a primary goal. The Steelers also have yielded mixed results with drafting pass-rushers in the first round. To be sure, the Steelers are one of the most consistent NFL teams on draft day. Three picks from the same class — running back James Conner, linebacker T.J. Watt and receiver JuJu Smith-Schuster – were on the same Pro Bowl roster in January. The Steelers’ reputation for drafting receivers is unmatched. But there are holes to fill thanks to a few misses, which happen to every team. “When you have 10, you have more ammunition to either take 10 players or use ammunition to trade up,” Colbert said. 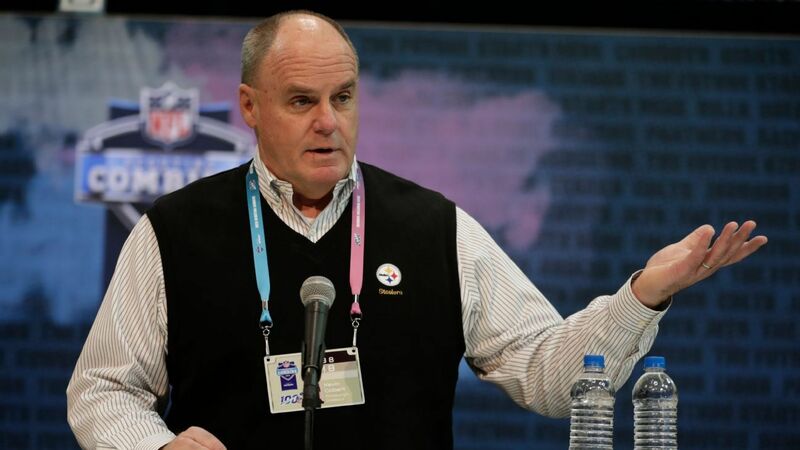 The Steelers generally aren’t aggressive on draft days, and the 20th pick might be high enough to find a long-term solution on defense.